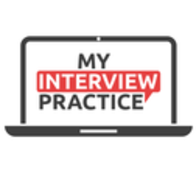 My Interview Practice allows users to practice full-length interviews from anywhere at any time. Our Interview Simulator provides handpicked questions and records your response. Then share your recorded responses with others to get their feedback on how you did. We believe that everyone has the potential to land their dream job if they are willing to put in the time. Its what excites us to build our site better than the day before.